First workshop…not to be the last! 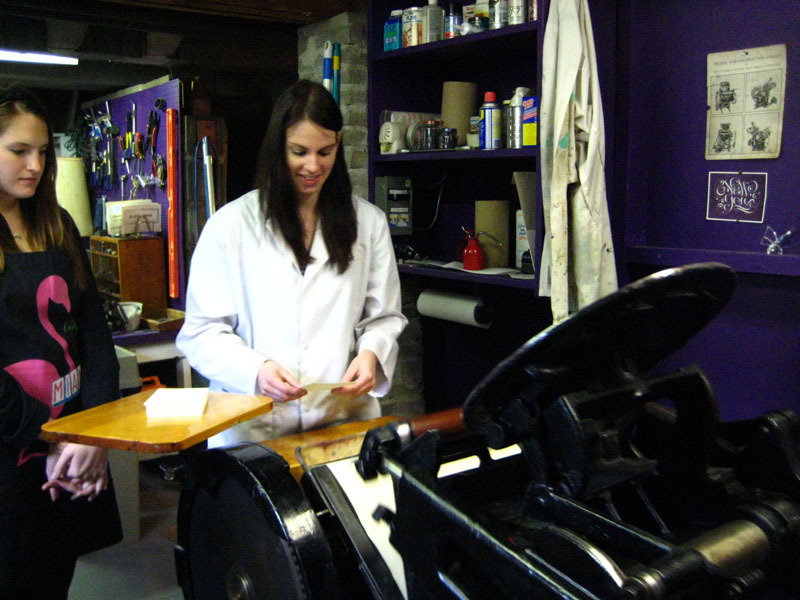 Papillon Press hosted its first ever letterpress workshop this past Saturday and it went great! 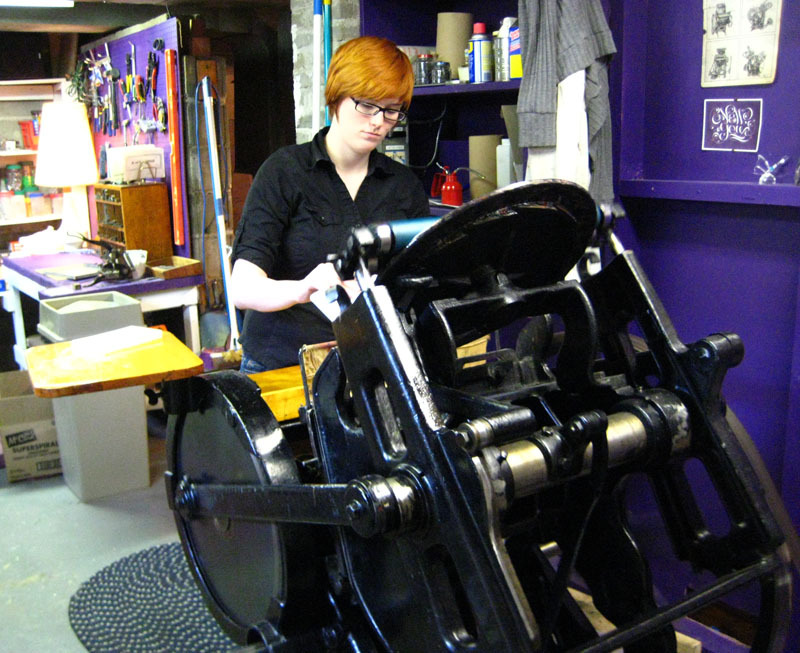 The ladies were introduced to typesetting and to Claudette, our CP & Co. New Style letterpress. 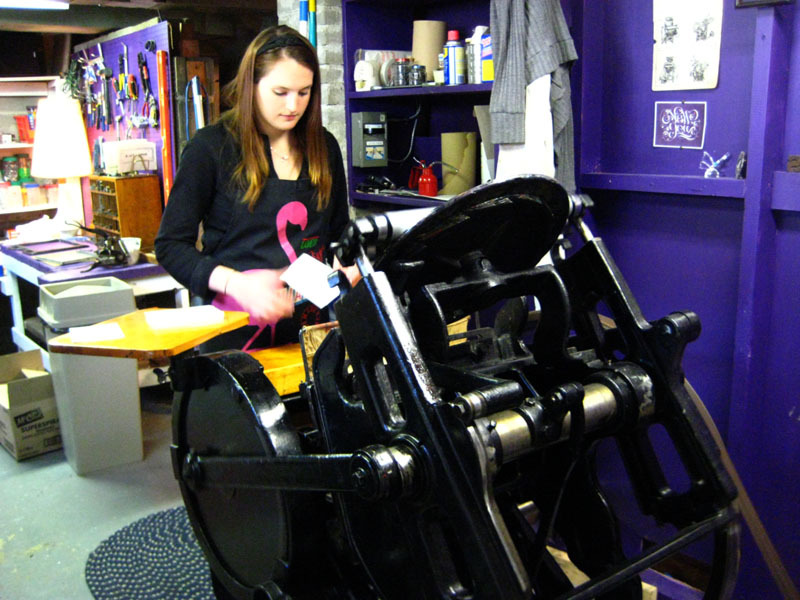 They all did very well and ran their jobs through the press like printers-in-the-making. They were also more ambitious in their typesetting than we expected them to be. 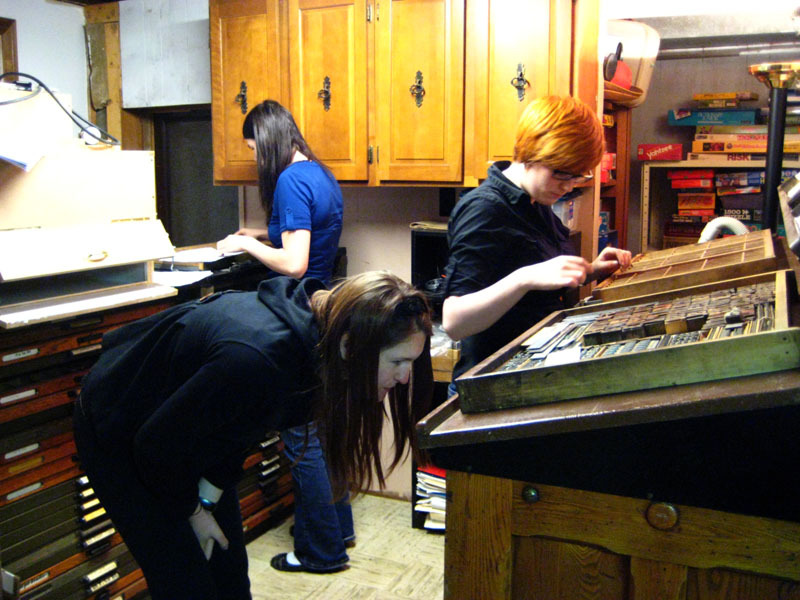 Anyone who has ever set lead type by hand knows how time-consuming it can be, but these girls were not daunted and even mixed wood type with metal type. 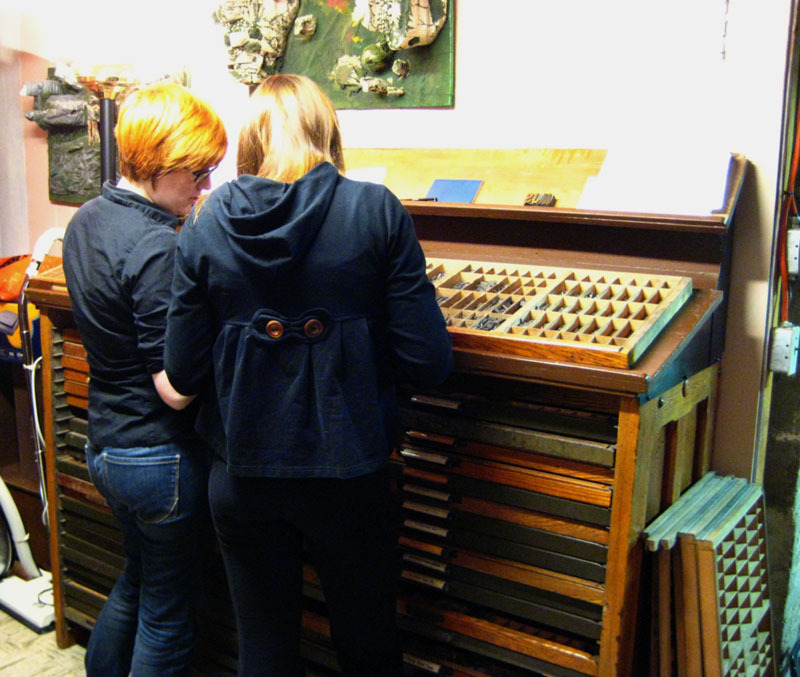 Trying to decide which type to use out of our over 100 typecases. Chantalle (not the blogger!) with Claudette (the press). 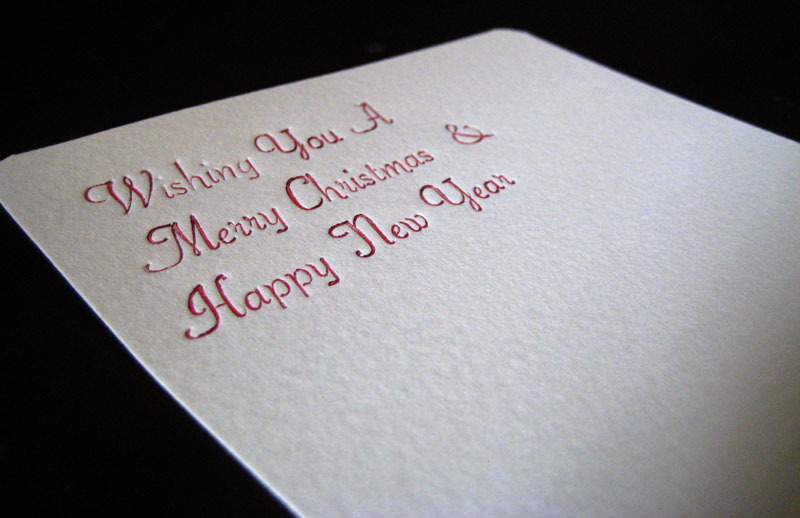 Chantalle printed her Christmas greetings early using "Fancy type"
Kristina mixed wood type with "typewriter" type and used two ornamental brackets. 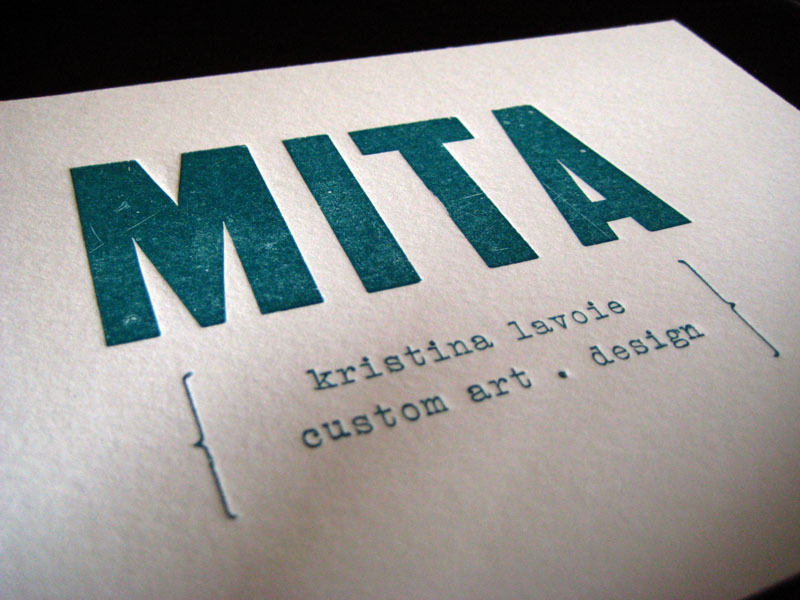 Katie printed a gift for her boyfriend in the same distressed wood type as Kristina, using an ornament AND a decorative rule. 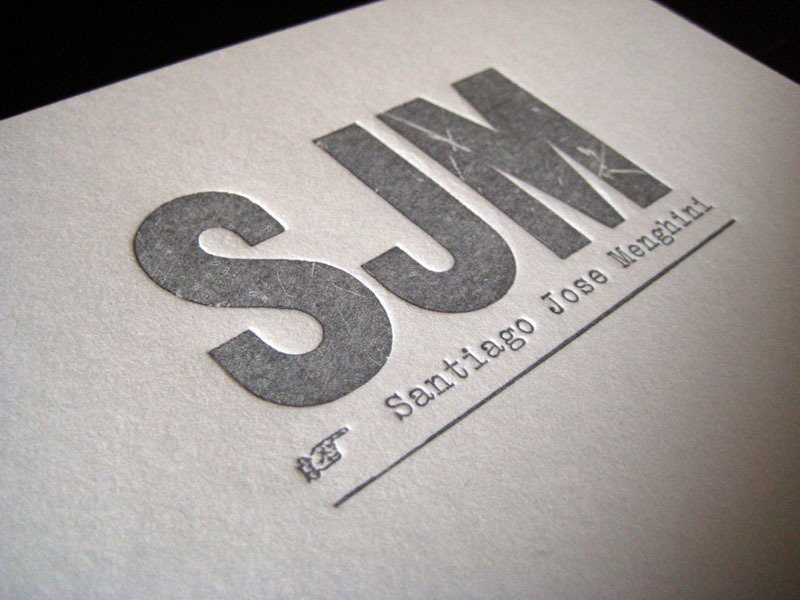 Printed in lovely silver ink. Thank you to Katie, Kristina and Chantalle for a great workshop and for being easy to teach!